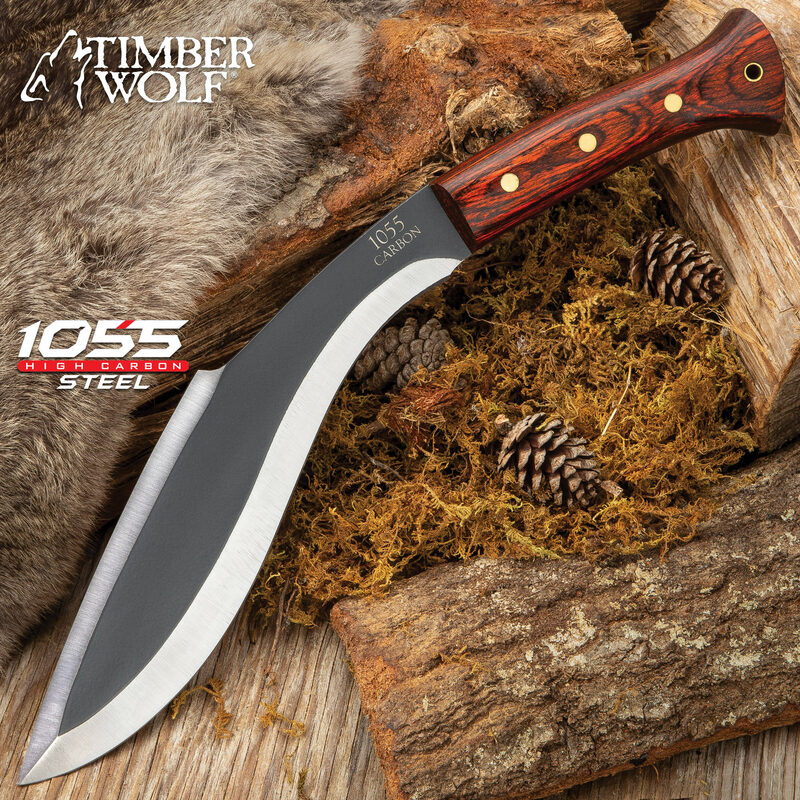 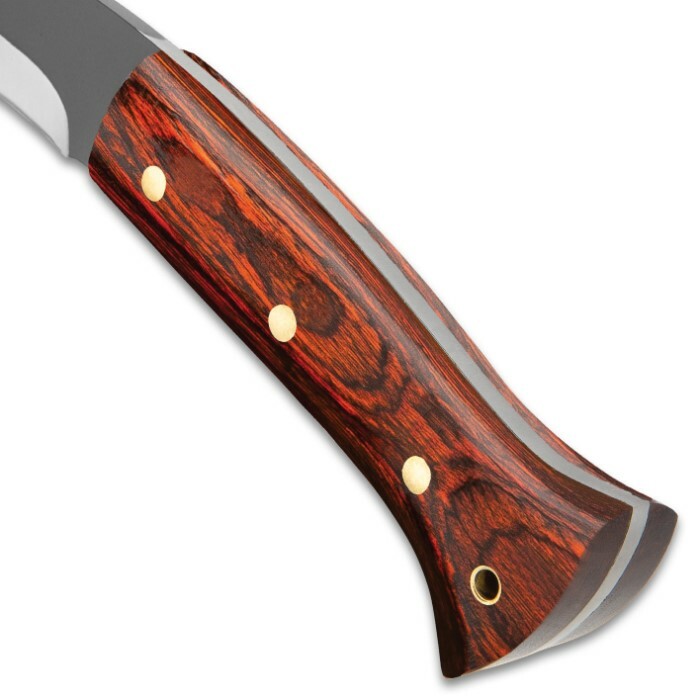 From the deepest heart of Africa, the Timber Wolf Heart of Darkness Kukri Knife was inspired by the deep and dark jungle interior where having a sharp knife is the only way to survive. The kukri has a hand-forged, 9 3/4” 1095 carbon steel, full-tang blade with a two-tone grey and satin finish and a razor-sharp edge. 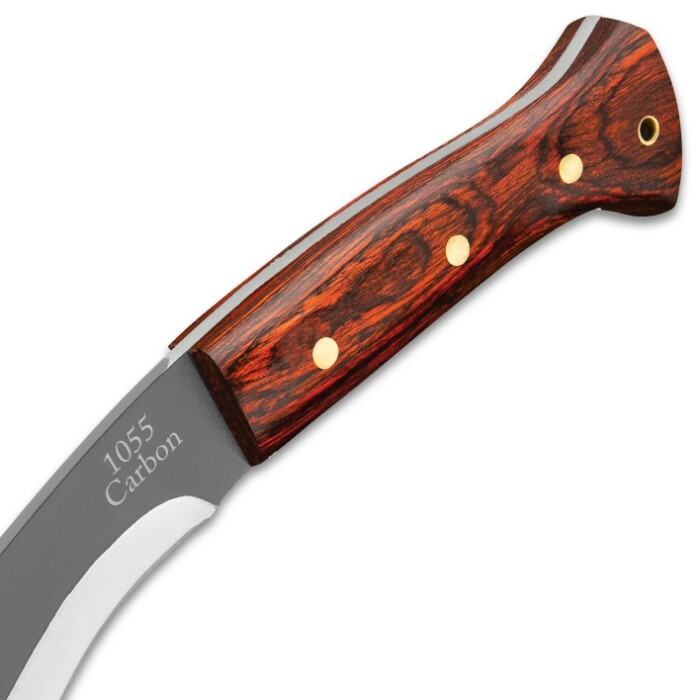 The dark wooden handle scales are secured to the tang with sturdy brass pins and it features a brass lanyard hole. 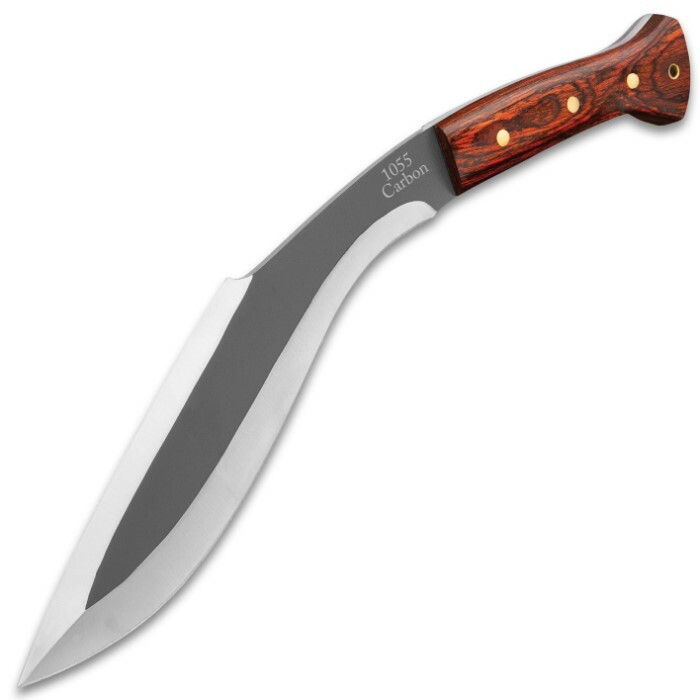 The 15” overall kukri slides into a premium leather belt sheath that has a snap closure and a snap closure handle strap.